Never having played the first or second one (or any [insert sport here] manager game)I wasn’t sure what to expect. This game is beyond addicting, and if you’re smart enough, you won’t need to bother with the microtransaction. That being said: one of the biggest aspects that could be improved upon in an update or even MM4 would be the sponsorship system. Frankly there needs to be longer sponsorship contracts (like a complete season), or contracts that you can renew/negotiate, or make them worth more than they currently are. While I’m not the most learned in the minutiae of F1 or WEC, I don’t think teams’ contracts expire after X-races, and once those contracts expire, the company doesn’t wash their hands of the race team. So why can’t I renew with a company that I really like? Because of this, I haven’t figured “the sauce” with enduro-racing. Maybe it’s me, and having to sign six drivers with those tiny sponsorship deals, but I’ll keep playing to figure it out. One final addendum, would be driver testing. No race team would just sign a driver without seeing how they drive in their (the race team’s) car. Why expect the manager to plop down a stack of cash on a shot in the dark? TL;DR This game is well worth the price, don’t buy the microtransactions, and be smart with your in-game money. One of the biggest features that I wanted in the game and a one that I thought would be simple enough to put in the game is a reserve driver and practice sessions. 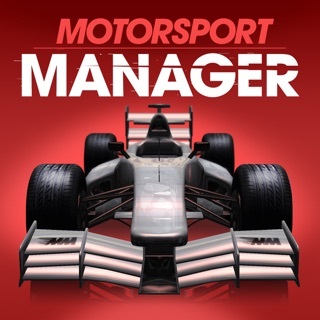 It does feel a lot like MM2 but it does have multiple improvements such as the gt and endurance series and the connections. These were great features added into the game and one I really enjoyed. Another problem is once for champion on the world championship series and your so much better than everybody else then the only way you can regain competition again is to wait till the end of the year so a new team can come into the series. The teams within the series already don’t improve enough to at least stay competitive. The last problem I ran into was one of my drivers was world champion he came to me midway through the next season and said he felt bored and was going to retire, the only problem was he was only 23. Over all it is a great game and very enjoyable. Im big fan of MM, MM 2, and PC version. I do my gaming when Im travelling, so the Ipad works. I dont have time at home. I was hoping for more of a PC version experience. 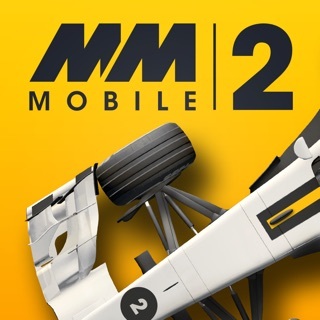 With MM2 mobile it seemed this was the direction it was going. But now with this version youve delivered a dumbed down, Im sorry, “streamlined experience” Insert boring here. Insulting. It keeps alot of what MM2 had, so it gets 3 stars. You took away qualifying setups and put in a card based system. All luck. AR? thats one of your big features??! So I can make it look like the race is on my kitchen table? Really? Cmon Playsport, Im sorry to be harsh, but this feels like a step back. Thats great including GT and Endurance. Kudos for that. But you even put in the car graphics with the single biggest thing F1 fans hate this year, that ugly roll hoop! I will end positive, the graphics look nice. However, I would rather see content than eye candy.